The closest possible thing to Ruffles Cajun Spice, Wise's Crazy Calypso has a slightly sweeter taste, but some hotness but also complex seasoning, like some allspice, and probably paprika. Nice thin, crisp chips, with not to overwhelming spice nor oil. YUM. Back by popular demand! Sorry to sound all serious like Uncanny Canadian. What I meant to say was these chips are like a humongous orbiting potato sapce beast giving birth to a savory river of flavor on your head. 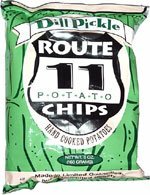 When I tasted and fell for Lays Tastes of America, California Cool Dill Flavor, Uncanny was all "I don't like them, they aren't that pickly" and I was all "that's because they aren't Dill Pickle flavor, they're supposed to taste like Sour Cream and Dill and they do, delightfully so." "Well I don't want that" said UC. What he wanted was these, which he delights in. Yeah they taste like Dill+Vinegar=Dill Pickle, but I don't want them to taste like that. I want them to taste like California Cool Dill, and they don't. 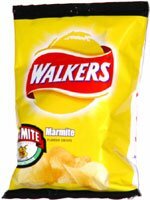 Clif mentioned these bad boys...Walkers Marmite flavored crisps, an English brand. and Three Bulls! has actually had them. Marmite flavor! Well, Marmite is yeast extract with spices, salt and vitamins. 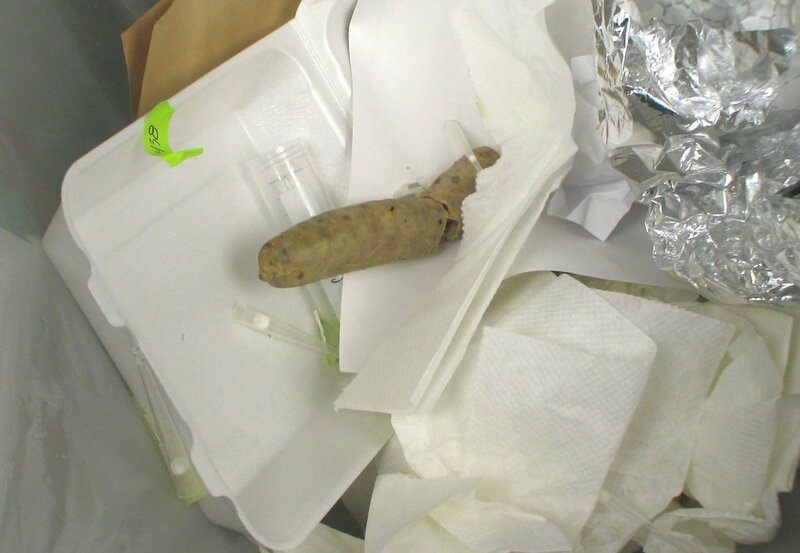 I've never tasted the real deal, but it is supposedly quite savory, salty and a little bitter and probably gross. Yeast extract is very strong and the chips have a strong, hard to describe salty-savory taste, kind of like chicken boullion. The most likely reason is that yeast extract has a lot of amino acids in it, including glutamate, so it is basically like natural MSG. So when something says "No added MSG!" but includes autolyzed yeast as an ingredient, they are playing you like a fiddle. The apotheosis of 80s food. 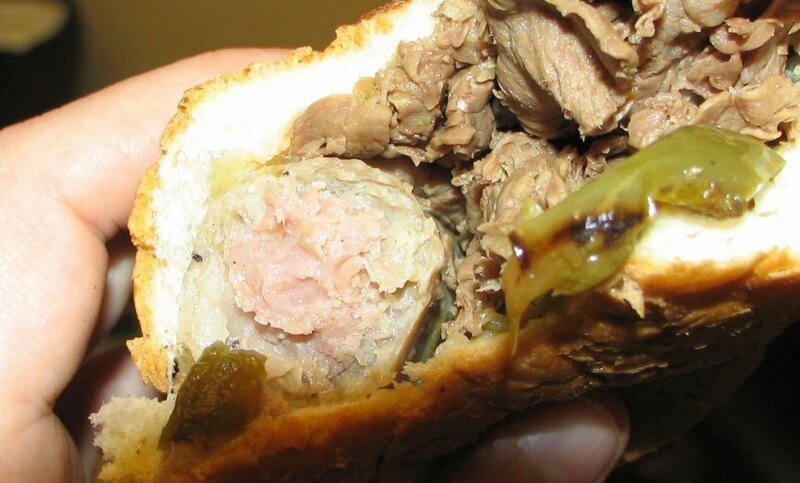 Completely unplaceable taste, probably loads of MSG under the un-yon and the cay-jun. This chip has been unequaled in the history of chips. Possibly vaguely chemical tasting, perhaps it was the ridges. The only dip these bad boys ever needed was your open salivating mouth. Savory goodness. Cobags need not apply. Verdict on corporate group think and malfeasance, leading to the discontinuation of this flavor: Disgusting. 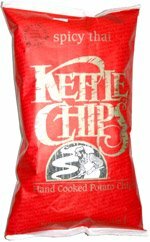 Here is a useful list of nine hundred chips- please pick your local favorites in comments for the Uncanny Canadian to review. Hmm, intriguing. 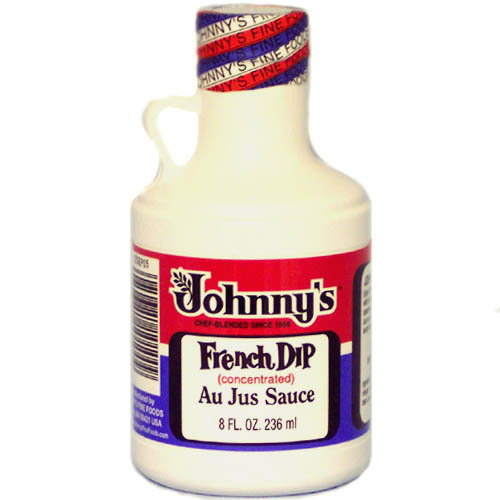 Johnny's French Dip Au Jus concentrate. Now, in the pantheon of beefy sandwiches, a bad Italian Beef is much worse than a bad French Dip. See, dry flavorless Italian Beef is not improved by defective, usually on the bland side natural gravy. 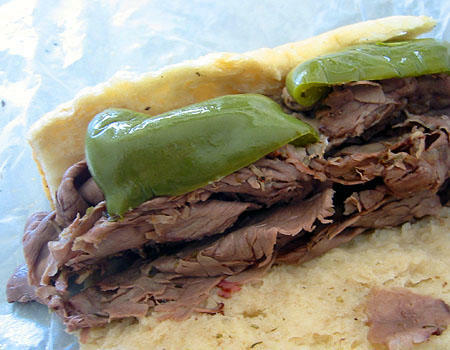 Now, a perfect Italian Beef is amazing, however different than a perfect French Dip. I cannot compare them because I have not yet been to the temple of French Dip. 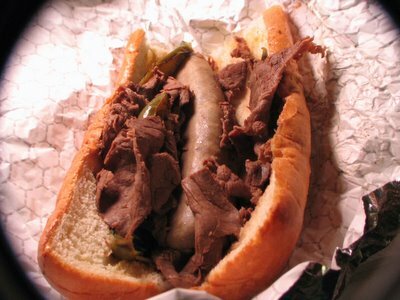 I have had amazing Italian Beef, however it certainly wasn't at Portillos, and shame on yous for picking the chain over some crazy local place like Rodeo Reds home of the best fresh-cut fries in existence, and more importantly purveyor of a presumed delicious Beef and Sausage combo. A bad French Dip, or dry beef can be rescued by crusty French bread, judicious application of horseradish and delightful dipping sauce, even if overly salty. Could this be the real deal? Here's how it went down. Actually it has now gone down like this four times. 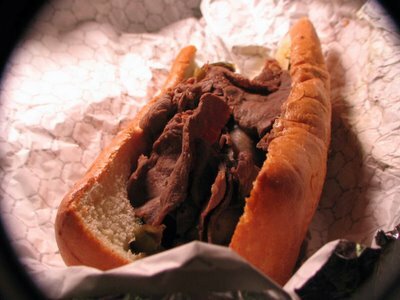 Regular italian roll, decent grocery store roast beef. INTO THE BROILER YOU GO- OPEN FACED. Just to warm up and get a little crusty. Onto the stove goes 1 part Johnny's 2-3 parts water. Simmer simmer 5 minitos. Sandwich rescued for oven, clammed up, sliced on the diagonal, straight across would be blashpemy, this cobag is getting DIPPED. Dip, eat. Get it here, if they have it not in your hellish neighborhood. 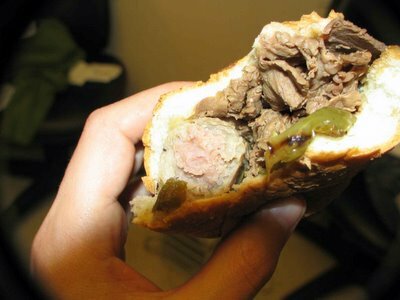 Seriously there are 500 ingredients on the back, it's not just beef stock. It's manna from heaven. I'm also massively intrigued because they have this too. I'm getting some.